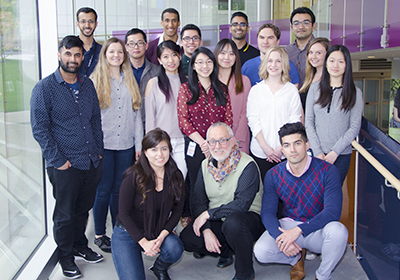 ICORD, in the UBC Faculty of Medicine, Vancouver Campus, is seeking a postdoctoral fellow in discovery/basic science to join an established group of scientists and clinicians in the laboratory of Dr. Andrei Krassioukov for a two-year term (with possibility of extension), starting immediately. Dr. Krassioukov’s basic and clinical research has been focused on autonomic dysfunctions following SCI for more than 20 years. He has developed a multi-disciplinary laboratory that is internationally recognized for expertise in autonomic research. The postdoctoral fellow will be expected to perform experiments to determine the neuronal and molecular mechanisms underlying cardiovascular and autonomic dysfunction following spinal cord injury. This involves in vivo, ex vivo, and in vitro experiments along with extensive work with rodent models of spinal cord injury. The fellow will also be expected to write scientific publications, apply for research funding and present their work at institutional journal clubs and international conferences. Candidates should have a PhD in neuroscience or a related discipline, and a strong interest in neuroscience, cardiovascular and vascular biology. Experience in experimental animal research, immunocytochemistry and histology is an asset. Interested candidates must be self-motivated and have at least one first-authored paper in a peer-reviewed journal. To apply, please send your CV, statement of research interests, any spinal cord-related publications and the names and contact information for three referees to krassioukov@icord.org. ICORD is a world leading health research centre focused on spinal cord injury. From the lab-based cellular level of understanding injury to rehabilitation and recovery, our researchers are dedicated to developing new treatments, strategies and cures from the time of trauma to post injury recovery. Located at Vancouver General Hospital in the Blusson Spinal Cord Centre, ICORD is supported by UBC Faculty of Medicine and Vancouver Coastal Health Research Institute. Visit www.icord.org. Additional information about Dr. Krassioukov‘s laboratory can be found here.